Two instrumented rockets (Terrier-Black Brant 36.206 and Black Brant 21.131) were flown along magnetic azimuths toward the north and northwest to measure the small-scale electric field and electron density fluctuations. SII flew on the Terrier-Black Brant 36.206 rocket. Each instrumented rocket was paired with a chemical release rocket (Terrier-Improved Orions 41.028 and 41.029) that were flown along the same azimuths to map out the gradients in the neutral winds and their effect on the local heating rates as a function of altitude and horizontal distance. The primary measurements from the instrumented rockets were the vertical profiles and horizontal variations in the electron densities and the horizontal variations in the electric fields. The primary measurement from the chemical release rockets was the neutral wind profile. 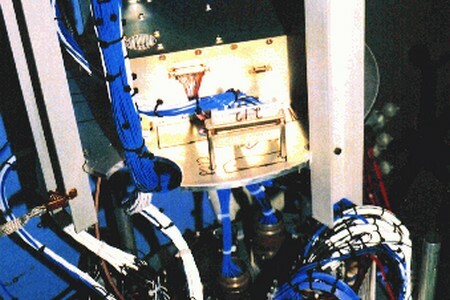 The SII was one of twelve instruments on NASA's "JOULE" mission led by Dr. Miguel Larsen of Clemson University, Clemson, South Carolina, USA. 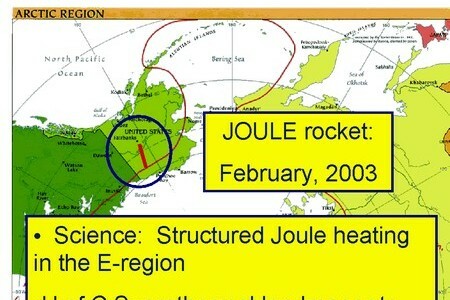 The name JOULE comes from the type of ion heating mechanism supposed to be dominant in the E-region of the Earth's upper atmosphere through which the rockets flew. The JOULE rockets attained an altitude of over 110 km for the instrumented rockets and 180 km for the chemical release rockets in their 15-minute, sub-orbital flights. 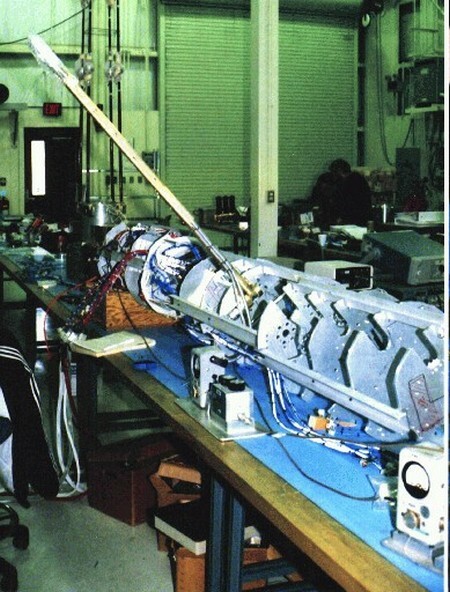 The SII was designed, built and tested at the Institute for Space Research by a technical team of seven (Peter King, Kaare Berg, Greg Enno, Armando Hernandez, Cliff Marcellus, Ivan Wevers, and Robert Thomson) under the direction of David Knudsen. 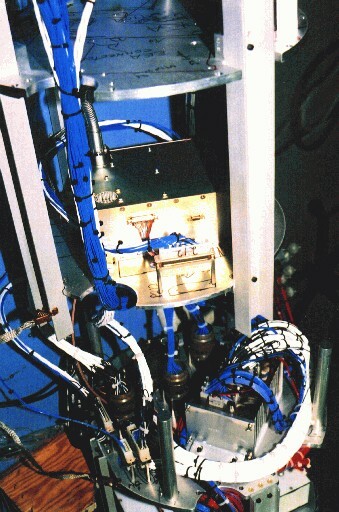 The JOULE SII is a prototype for the e-POP Suprathermal Electron Imager. 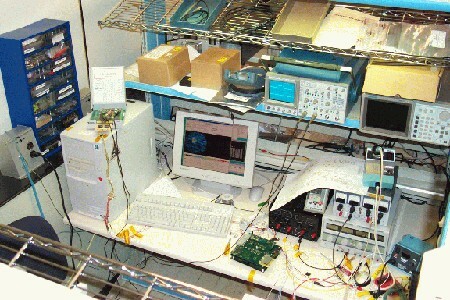 Its development was funded by Canadian Space Agency through the e-POP project, and through the CUSP SII/SEI project, as the JOULE SII served as a CUSP spare instrument. 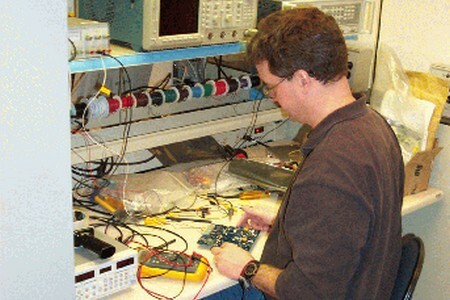 Booms to support the CUSP and JOULE SEI/SII sensors were built by Bristol Aerospace Limited in Winnipeg, MB. This was the third flight of the SII, the first being on the Calgary-led GEODESIC sounding rocket mission launched from Alaska in February, 2000 and the second on the NASA CUSP sounding rocket mission launched from Ny-Ålesund, Norway in December, 2002. February 28, 2003 The Friday window started with very little activity. A substorm developed after midnight. At the time we had clear skies at Poker, marginal skies at Fort Yukon, and overcast at Coldfoot. The maximum deflections in the mag at Fort Yukon briefly exceeded 250 nT, but the currents were generally weak throughout the event. The weather continued to deteriorate, and we scrubbed at 0300 LT.
March 1, 2003 Mark Conde's HEX mission was finally able to count on Saturday. The weather was deteriorating rapidly during the window with generally overcast conditions at all the remote camera sites, and snow developing at a number of the sites, including Poker. We scrubbed at midnight. March 2, 2003 Sunday brought still worse weather with temperatures near or above freezing and rain predicted. The decision was made at 1430 LT to cancel the window for Sunday night due to the slick road conditions created by the combination of the existing ice on the roads and the rainfall that was expected Sunday afternoon and evening. March 3-4, 2003 Monday and Tuesday night windows were completed with overcast skies again at Poker and nearly all the remote sites. Monday night brought conditions suitable for a Mark Conde HEX launch with a stable arc located in the region between Fort Yukon and Arctic Village, but the remote camera sites were not clear enough to support a launch. The conditions on Tuesday were more suitable for a JOULE launch although the heating was weak, the radar echoes were weak, and the skies were mostly overcast. March 5-6, 2003 The windows on Wednesday and Thursday night did not bring the clear skies that were promised earlier by the meteorologists. The weather improved, and we had a number of situations with one clear and one marginal site, but the pervasive stable weather has still not materialized. Making things worse is the fact that the change in the weather has brought strong winds from the north which have played havoc with the wind weighting. On Wednesday night, HEX and JOULE were taking turns being out for winds. Last night both were out for winds all night with predicted booster impacts near the dredge located across the road from the Chatanika Lodge and then later on the road itself. The magnetic activity was good on both nights with opportunities for both HEX and JOULE to launch if the weather had cooperated. 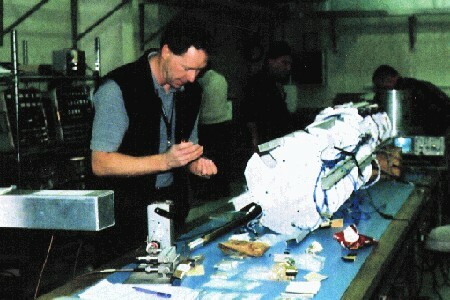 March 7-8, 2003 Miguel Larsen wasn't able to launch JOULE on either Friday or Saturday, which were the last nights of the window, again due to weather conditions. 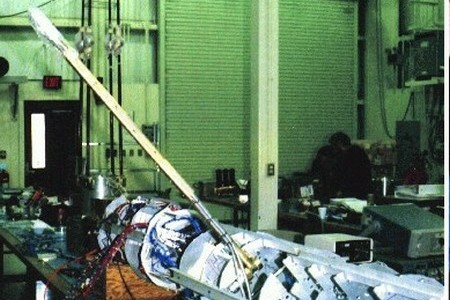 March 20, 2003 The second window for JOULE was scheduled to start on the evening on March 20, 2003. March 27, 2003 Conditions tonight were very active throughout the night with a series of substorms and good radar echoes throughout most of the night. 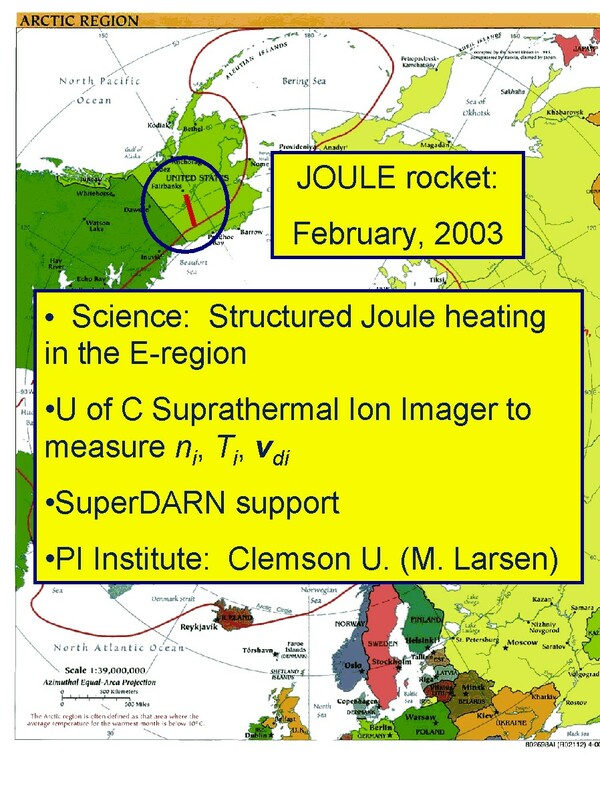 We had a number of evens that had the ingredients needed for JOULE, i.e., heating, structure, and radar echoes, but not all of them at the same time. Finally at 03:15 LT [12:15 UT] we launched into a nice substorm event with good echoes seen by both the SuperDARN radars and our radar, and with a number of arcs located along the trajectory between Poker Flat and Fort Yukon. The magnetometer deflections at Poker and Fort Yukon were 350 to 400 gamma. I believe that the data set will provide an excellent case study for assessing the effect of small scale structure on the overall heating rates. 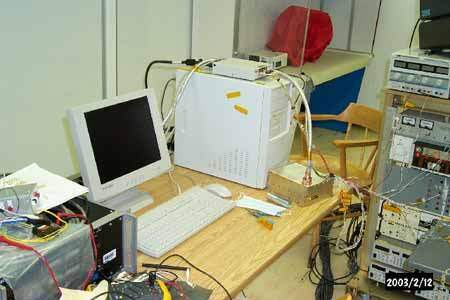 The preliminary indications are that all the instruments worked well. The second TMA rocket was nominal. Unfortunately there was a malfunction on the first TMA rocket which at present is not understood but which resulted in neither an upleg nor a downleg trail being released. Not having the TMA data along the northern trajectory is obviously detrimental to the experiment, but since the second TMA rocket was launched within a minute of the second instrumented rocket and three minutes after the first instrumented rocket, the winds that we did measure should be fairly representative. GEM/CEDAR Workshop, High-resolution Ion Drift Measurements from the JOULE Sounding Rocket Mission, L Sangalli, D Knudsen, J Burchill, R Pfaff, J Clemmons, M Larsen, C Steigies, Santa Fe, NM, June 27 2005. IUGG/IAGA International Conference, High-resolution Ion Drift Measurements from the JOULE Sounding Rocket Mission, L Sangalli, D Knudsen, J Burchill, R Pfaff, J Clemmons, M Larsen, C Steigies, Toulouse, France, July 2005. CAP/DASP Meeting, High-resolution Ion Drift Measurements from the JOULE Sounding Rocket Mission, L Sangalli, D Knudsen, J Burchill, R Pfaff, J Clemmons, M Larsen, C Steigies, Edmonton, February 2005. Fall Meeting of the American Geophysical Union, San Francisco, CA, High-resolution Ion Drift Measurements from the JOULE Sounding Rocket Mission, L. Sangalli, D. Knudsen, J. Burchill, R. Pfaff, J. Clemmons, M. Larsen, C. Steigies, December 16, 2004. Sangalli, L., Sounding Rocket Probing of the Ionospheric Collisional Transition Region, PhD thesis, University of Calgary, April 2009.